Having trouble cleaning grout in your home? Use this recipe: 7 cups water, 1/2 cup baking soda, 1/3 cup ammonia (or lemon juice) and 1/4 cup vinegar. Spray on grout, leave for about 1 hour, then scrub vigorously with a scrub brush. Wow, that really does get rid a lot of the hairspray gunk. Thanks! Hot water steam is better for cleaning grout. I use it in my kitchen. its easy & time saving. A Mr Clean eraser works wonders. Try it! What did you do with that mixture? Spray it on and leave it on? Scrub it with a toothbrush? I see plenty of details in the post. Maybe reread. This looks like it's on a tile (bathroom) surface with grout... right? Great info, just need more details, please? She said, "Spray it on, leave on an hour then scrub vigorously with a scrub brush." What more do you need? I'm guessing rub, set, and wipe. But yes, better details would be... well, better. I tried this to get soap scum and hard water stains off my shower and it worked great. I did have to scrub this mixture a bit with a green scotch bright pad but it was not too bad. And the shower came out beautiful. SOAP SCUM: Use rubbing alcohol on a rag, you need to use some strength when rubbing over the soap scum, but I was totally amazed on this one ingredient solution and it works on our glass shower doors wonderfully! Mr.clean magic eraser works wonders on soap scum with little effort! I came across your comment about rubbing alcohol to remove soap scum...OH MY GOSH! Okay, maybe I'm coming late to the party, but thank you! I've been SCRUBBING all my glass doors for YEARS, and now I just wipe. It's so beautiful, I almost cried! Wonderful, i shall use this on my linolium kitchen. It might be wise to take this post down. There is no bleach in this mix, it is ammonia. Mixing ammonia and bleach is toxic, not ammonia and vinegar. Vinegar and bleach are not a toxic combination. Ammonia and bleach are toxic when combined, that is why it is unsafe to drink unfiltered tap water if you have any medical conditions that compromise your immune system. They produce a toxic gas. This blogger has posted nothing about combining bleach and vinegar, much less ammonia and bleach. You should think about what you post prior to posting it Marmee. Vinegar and bleach IS toxic when mixed together as is ammonia and bleach and dish soap and bleach. It's best not to mix any chemicals until you have researched them but bleach seems to be the worst to mix with anything. bleach and dishsoap aren't toxic lol. i have mixed them plenty of times. Stop posting. Seriously. You don't know what u are talking about. and you are being a real big hater. Don't mix dish soap and bleach. Unless you make your own DIY dish soap, commercial brands have ammonia in the recipe. Go online and get the ingredient list for your dish soap. The primary toxic chemical formed by the reaction of bleach mixed with ammonia is chloramine vapor, with a potential for hydrazine formation. This cleaner doesn't use bleach and ammonia. Not sure why previous poster brought that up, but be save, don't mix dish soap and bleach no matter how long you've been doing so. You don't have to keel over to be harming your nervous system and blood filtration (liver, kidneys, tissues). Your body stores toxic chemicals in your fat to try to protect you, then when you burn fat, you feel sick from the concentration re-entering your blood stream. Be safe. Thats funny, I don't see the word bleach, Marmee. Read the post AGAIN and then perhaps you should remove your comment. BTW, all this did was leave a nice white film on my tile. Thanks. Mine too. How can I get the film off?? I have tried everything. That's right the acetic acid (vinegar) and the base (baking soda) react to form salt and water, so that nice salt film on your floor has to be cleaned up! The lemon juice is just more acid, I think that's in there to smell better. The clean up just involves a few warm water rinses. It is a cheaper than a commercial tile and grout cleaner, but does take more time and effort. The chemicals are essentially the same, just weaker in the home remedy. Ammonia and vinegar work best with a little scrubbing. wipe clean with damp microfiber cloth. no film! This did not work at all. Maybe because there is some special way to use it? No instructions, so... just mixed it all up and poured it on the dirty tile. NOTHING. Left it for a good 45 mins. NOTHING. There are instruction, spray on leave for an hour then scrub. It says 'about an hour'. And the picture is of grout paint, not someone's hard work scrubbing anything. This worked for me, but only when mix was fresh. I added ammonia and water, then vinegar and baking soda when I was ready to clean. Applied it on the grout of my kitchen floor. I did use a tooth brush on the grout, but it was the cleaner which caused the dirt to lift up (toothbrush alone never works). Also, you have to wipe up the dirty water and change the water often so that you're not readding the dirt to the floor when you are cleaning. Time consuming, yes, but still cheaper than hirering someone. The instructions were to spray it on. That means it goes on all at once ("fresh" as you put it), not sit in your bucket. Okay, I used this on my hall bathroom floor. I used a toothbrush as a scrub brush. I had to sprinkle additional baking soda over the grout lines to get it to work. Apparently the baking soda doesn't dissolve in the liquid mixture and settles (very quickly, in fact) to the bottom of the bucket. I will say it did work. But I spent an hour on a floor that is 5'x 5' and I didn't get the whole floor done - only the center. I definitely am noticing this working.. just scrubbing / time consuming.. but yes, a lot cheaper than alternatives! The ph's of vinegar and ammonia cancel each other out when you mix them together, which makes them ineffective as cleansing agents. Any results you guys are seeing is probably coming from all the scrubbing that you are having to do. It would probably work better to use the vinegar without the ammonia. ...but ammonia is effective in lifting dirt, so maybe you could just open the windows, put on some gloves, and use the mix with ammonia but no vinegar. Has anyone tried this with lemon juice rather than vinegar? I just did tonight and the mixture turns a mucky mustard color... not so pretty. I did it just to give it a test and I think I may try it again with ammonia... although I agree with others have written about having to put a lot of elbow grease into it, this is not a magic solution. If you value your time, skip it, if you value your money and have tons of time on your hands than try it out. I used lemon juice but did the treatment in steps. I mixed less water and used citrus infused vinegar (we use for our hardwoods). I poured the liquid on the grout then sprinkled baking soda down. Scrubbed a bit and let it set. Clean up was a lil messy but it worked great. I will use this from now on. The less chemicals in our home the bette. I just used this mix without the lemon juice and used a scrub brush on the grout and I noticed a big difference. Afterwards I used my swiffer and the film was removed. Ajax works the same. Only a dollar at the dollar store. I just used this on my tiled shower and am really happy with the results! I used lemon juice and very warm water, then a sponge to get everything wet. I followed the sponge with a scrub brush and with only moderate effort (i'm 9 months pregnant!) got a very obvious layer of mold/ickiness off. I plan to have my husband follow up with full strength in a week and then I think things will be very easy to maintain! And yes, Ajax would work the same, but while exposing yourself to a lot of nasty chemicals! What do you think ammonia(ammonium hydroxide), baking soda(sodium bicarbonate) and vinegar(acetic acid) are? Hmmm... I was excited to try this. My bathroom floor is clean, but the grout is not white anymore. I was disappointed. Aside from the fun fizzles when you first mix it, my chemistry understanding would have me believe that, by the time you get to the bathroom with the bucket, you pretty much have water left, since the baking soda, vinegar and ammonia in the windex react to form carbon dioxide (the "fizz"), water and that ammonium chloride that folks are wiping off the tiles. I wanted this to work! My youngest son told me to go get "Grout Bully!" I think bleach in a spray bottle and a toothbrush will be better at this. This did not work at all on my grout. No improvement at all. I ended up buying a grout paint and painting all the grout. It looks brand new. Gosh i just use baking soda and peroxide and with 16 kids and 7 grandkids my white grout gets pretty ugly. Make a paste using these two ingredients let sit maybe 3 min spritzing more peroxide if needed then use grout brush (Walmart) and minimal Scrubbing is needed. Yes there is white film due to baking soda but a good moping does the job. I use peroxide and baking soda and yes it works. Did not work very well at all. Ok, gals. This is a good example of why I hate tile and would never ever voluntarily have it in my home again! Vinyl, stained concrete or linoleum for the bathrooms would be my choice. I am thankful for your post. You have given a great info about tile cleaning. I just wish your blog to get success. Spray Clorox Cleanup directly on the grout. Let sit for 10 or 15 min then use a chore boy pad and a little elbow grease and it will come off! No matter whether you like it or not, your oven will now have to be cleaned this week. And just the believed of you heading down and dirty with all the grease gathered in it can be aggravating. But however, you want to do it or melt away the upcoming cake you will require to bake due to the fact of a dirty oven. Now just relax simply because cleaning it doesn’t want to be these kinds of a hideous burden. There are numerous techniques to thoroughly clean an oven, and it depends on how you would want to approach it. I used this recipe a few weeks ago, dubious. I've tried so many things, even renting one of those market floor cleaners - all with no success. Between this and a floor cleaner I found on another one of your posts (I believe), my ceramic tile floors look brand new again. I am a skeptic, but with your ingredients, directions, and elbow grease, it worked. Thank you for your great blog. I'm really surprised by so many of the comments and wanted to make sure to encourage you. Have a great day. Awesome tip! Pinning it to my blog's boards for The Jenny Evolution. I couldn't wait an hour so only left on the solution for about 15 mins. Amazing how fast it works. Not completely spotless yet so time for round two! Thank you for the recipe. It’s important to note that these guides are intended for maintenance of surfaces in good condition. Love the tip - like some others I didn't have an hour but after 30 minutes I was still pretty shocked how quickly it worked. Bookmarked your blog :) I'm pleased to have found this - in the past I've used oven cleaner solihull business but this is very eco-friendly! Most of the people hate to use these kinds of substance solutions to thoroughly clean his or her apparatus. A lot of the oven cleaners emit poisonous toxic gases during the process of clean-up. These kinds of toxic gases may cause harm to individuals. Try a steam cleaner! Does wonders with no chemicals at all!! That has nothing to do with the subject. Good grief - scram. The tips and ideas for the tile and flooring in prior lake has been wonderful. I have been looking for something that would clean my grout lines. No matter what I try they never come clean. I've even used a tooth brush. I will definitely be trying this out! I just read an article about using hydrogen peroxide to clean grout--have you ever tried a cleaning recipe with that ingredient? I will definitely be trying this tile cleaning method in my entryway. Thanks for sharing! Nope. It's grout paint. Easy to find at any hardware store. The pictured results are clearly not from the recipe listed. If you have tile with grout or natural stone like travertine you can spend hours on your hands and knees scrubbing away trying to remove the dirt engrained in pores of the grout or stone. Then of course there are the grease spots soaked into the grout/stone that you just don't understand why they will not come out. Then it needs to be sealed, but you can't seal the grease in the grout/stone. The grout in our gym was always maintained by Gym Cleaning Services and their job was very clean. You can also contact them in cleaning edge website. I hope that I help you to find a good cleaning service company. Carpets can beautify our home floors; however, we need to clean them now and then. You require a skilled hand to do that. Thus, a carpet cleaning service is very important to us. Awesome post. i have just recently become interested in using natural products to clean with. Bookmarking this for the next time I do major grout cleaning! Professional carpet cleaning, rug cleaning, tile and grout cleaning, call our company in Hartford today. We get the job done on time and save your money and time. Hi i have read your post and i think it's useful.Thanks for the sharing this website. it is very useful professional knowledge. 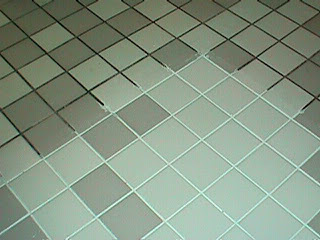 Your blog has helped me a lot to gather better ideas to know more about Tile and Grout Cleaning Services Mesa AZ. Thanks for sharing your blog. The blog is wonderful and has helped me to have wonderful ideas in repairing my tiles using Tile and Grout Cleaning Services Mesa AZ. I don't usually post on anyone's blog. However, I think that you should take some time to moderate your comments and remove the spam. Also, I've tried this same recipe using peroxide instead of ammonia, and it works just as well. Once you have the grout cleaned, you should seal it to protect all of your hard work. Apparently, as I have sadly just learned...you're supposed to reseal grout every couple of years. If I had known that before, I would have spent a lot less time trying to keep those lines clean! you can self cleaning using this information. but you can not get good result then you can call professional cleaners. this is useful information for non professional cleaners. We green carpet cleaning salt lake believe in a clean and chemical free living and working environment. Combining years of industry experience and knowledge we have developed new and innovative cleaning methods and solutions. Greatest post related to Carpet Cleaning for providing best machines cleaning services with different products. Tile and Grout Cleaning Woodland Hills CA gives the right cleaning methods. Your blog has shared lots of information to know better about the tile and grout cleaning services. I've also try this, it really works and gives neat and Clean floor, thanks for sharing such a wonderful idea. Interesting tips and also easy to follow. Very nice blog. Thanks for Sharing. I tried this to get soap scum and hard water stains off my shower and it worked great. Thanks you for sharing. Thank you for sharing this impressive and awesome blog that you've shared. I really want to learn more about cleaning. Because I'm basically starting my new fitness Gym Center. And I know it's hard for me if I'm only one who clean up my gym. I would love to hire a Gym Cleaning Services so my business would get easier. Isn't it? Well, Again Thank you for sharing this one. I really had a great time reading it. reading all of your weblogs. Simply wanted to inform you that you have people like me who appreciate your work. I am in love with this steamer! Wow! Terrific result! Here I have useful link for you - siivouspalvelu at low prices. Really a nice post dude...!!! ASCS (All Seasons Cleaning Solutions) promises you genuine feelings of serenity that your residential and business contract cleaning administrations will be completed to a to a great degree high caliber. Here are different alternatives for the household cleaning, contract cleaning, oven cleaning service, understudy cleaning, office cleaning, house keeping, business cleaning, regular cleaning and cover cleaning. I am very joyful that I stumbled across this in my seek for something referring to this. Ateamcleaning is one of the best Vacate Cleaners Perth, cleaning services in Perth & Sydney. We offer professional, friendly and trustworthy service for all customers. Dynamics Clean Services is a professional local residential and commercial cleaning company in Sydney,Australia.Our qualified and expert cleaning team provides high quality cleaning services.Our cleaning services includes commercial cleaning, residential cleaning, carpet and rug cleaning, strata cleaning, and end of Lease cleaning. We are dedicated to provide cleaning services that exceed our customers’expectation.Dynamics Clean Services use green cleaning supplies and state-of-the-art equipment to clean residential and commercial properties. It is interesting to have it discussed widely so that we can gain more objective opinions. hey, interesting information i got from here…would love to visit here again. We provide professional tile and grout cleaning services in Houston, TX.Tile cleaning services D-Max Carpet Care is offer a variety of comprehensive for all of your hard surfaces. Tip of the Day #73: Battery Tips! Tip of the Day #66: Fresh Bathrooms! Talk about RE-USING a product! !